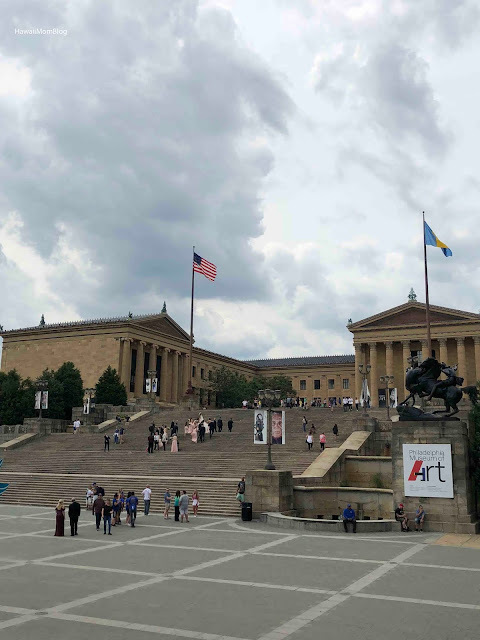 We don't mind looking or acting like tourists whenever we travel, so of course we had to make a stop at the Rocky Steps and Rocky Statue while in Philly. We got there via the Philadelphia Trolley Works Big Bus Tour. 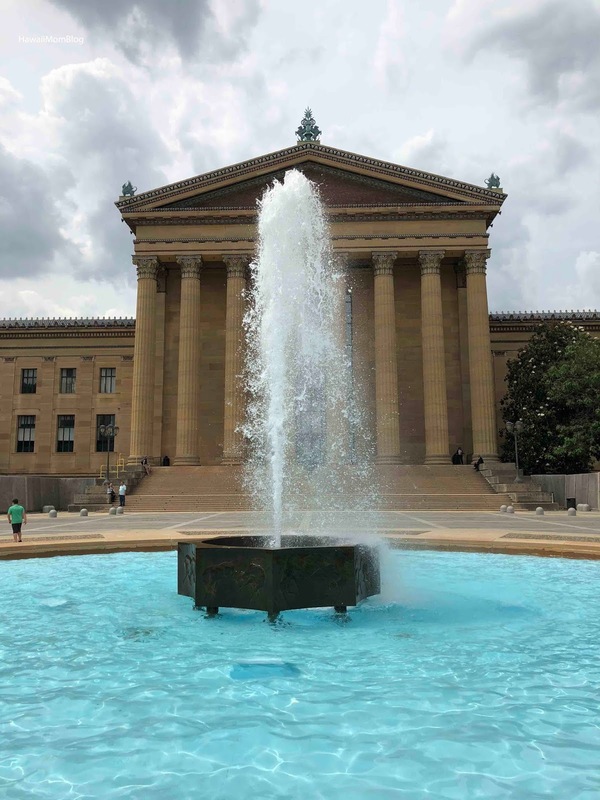 In total tourist mode, we ran (okay, my kids ran - I just walked) the 72 steps up to the fountain at the entrance of the Philadelphia Museum of Art, then took a pic with hands in the air. Of course, there were many others doing the exact same thing. 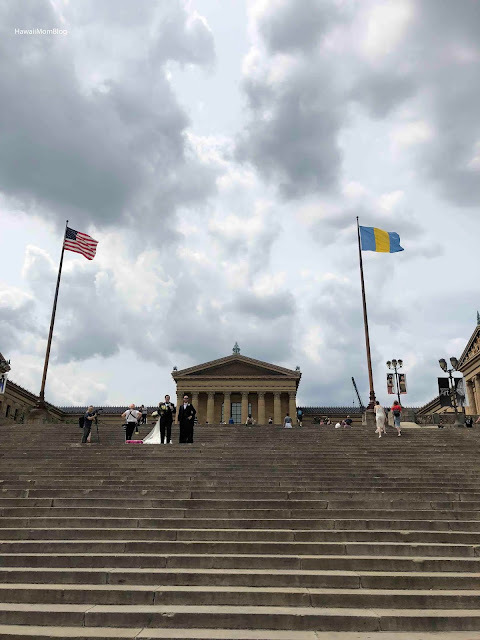 There was even a wedding party taking photos with the museum as a backdrop! 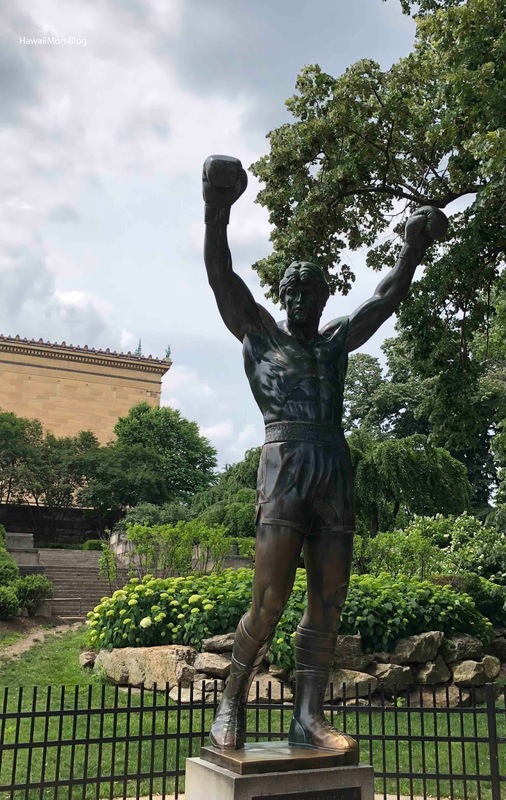 Don't forget to take a pic with the Rocky Statue, which is right next to the famous steps! 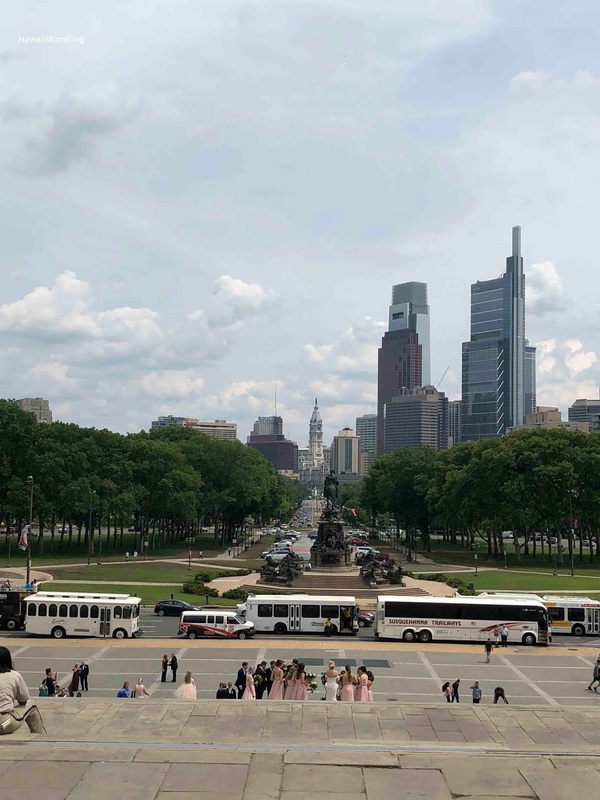 Mahalo to the sponsor for the 4 tickets to the Philadelphia Trolley Works Big Bus Tour. A fifth ticket was purchased on our own.